The correct diagnosis of nutritional deficiencies is important in maintaining optimum plant growth. The recognition of these symptoms allows growers to fine tune their nutritional regime as well as minimize stress conditions. However, the symptoms expressed are often dependent on the species of plant growth, stage of growth, or other controlling factors. Therefore, growers should become familiar with nutritional deficiencies on a crop-by-crop basis. Record keeping and photographs are excellent tools for assisting in the diagnosis of nutrient deficiencies. Photographs allow growers to compare symptoms to previous situations in a step-by-step approach to problem solving. Accurate records help in establishing trends as well as responses to corrective treatments. You will find pictures and brief descriptions of some of the most common deficiencies in the plant world. Should you not find the picture that resembles one of these deficiencies, check our plant disease page, as it could be a disease. Restricted growth of tops and roots especially lateral shoots. Plants become spindly with general chlorosis of entire plant to a light green and then a yellowing of older leaves which proceeds toward younger leaves. Older leaves defoliate early. Restricted and spindly growth similar to that of nitrogen deficiency. Leaf color is usually a dull dark green to a bluish green with purpling of petioles and the veins on underside of younger leaves. Younger leaves may be yellowish green with purple veins with "N" deficiency and darker green with "P" deficiency. Otherwise, "N" and "P" deficiencies are very much alike. Older leaves show interveinal chlorosis and marginal necrotic spots, or scorching, which progresses inward and also upward toward younger leaves as deficiency becomes more severe. From slight chlorosis to brown to black scorching of new leaf tips and die- back of growing points. The scorched and die-back portion of tissue is very slow to dry so that it does not crumble easily. Boron deficiency also causes scorching of new leaf tips and die-back of growing points, but calcium deficiency does not promote the growth of lateral shoots and short internodes as does boron deficiency. Interveinal chlorotic mottling or marbling of the older leaves which proceeds toward the younger leaves as the deficiency becomes more severe. The chlorotic Interveinal yellow patches usually occur toward the center of leaf with the margins being the last to turn yellow. In some crops, the interveinal yellow patches are followed by necrotic spots or patches and marginal scorching of the leaves. Slight chlorosis to brown to black scorching of new leaf tips and die- back of the growing points similar to calcium deficiency. Also, the brown and black die- back tissue is very slow to dry so that it can be crumbled easily. Both the pith and epidermis of stems may be affected as exhibited by hollow stems to roughened and cracked stems. Resembles nitrogen deficiency in that older leaves become yellowish green and the stems thin, hard and woody. Some plants show colorful orange and red tints rather than yellowing. The stems, although hard and woody, increase in length but not in diameter. Starts with interveinal chlorotic mottling of immature leaves, and in severe cases, the new leaves become completely lacking in chlorophyll, but with little or no necrotic spots. 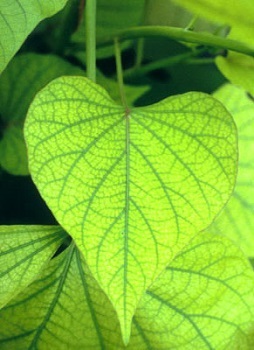 The chlorotic mottling on immature leaves may start first near the bases of the leaflets so that in effect the middle of the leaf appears to have a yellow streak. Starts with interveinal chlorotic mottling of immature leaves, and in many plants it is indistinguishable from that of iron. On fruiting plants, the blossom buds often do not fully develop and turn yellow or abort. As the deficiency becomes more severe, the new growth becomes completely yellow, but in contrast to iron, necrotic spots usually appear in the interveinal tissue. In some plants, the interveinal chlorotic mottling first appears on the older leaves, and in others it appears on the immature leaves. It eventually affects the growing points of all plants. The interveinal chlorotic mottling may be the same as that for iron and manganese, except for the development of exceptionally small leaves. When zinc deficiency onset is sudden, such as zinc left out of the nutrient solution, the chlorosis can appear identical to that of iron and manganese without the little leaf. Leaves at top of the plant wilt easily followed by chlorotic and necrotic areas in the leaves. Leaves on the top half of the plant may show unusual puckering with veinal chlorosis. Absence of a knot on the leaf where petiole joins the main stem of plant, beginning about 10 or more leaves below growing point. These deficiency symptoms in legumes are mainly exhibited as nitrogen-deficiency symptoms because of the primary role of molybdenum in nitrogen fixation. Unlike the other micronutrients, molybdenum-deficiency symptoms are not confined mainly to the youngest leaves because molybdenum is mobile in plants. The characteristic molybdenum deficiency symptom in some vegetable crops is irregular leaf blade formation, known as whiptail, but interveinal mottling and marginal chlorosis of older leaves also have been observed.